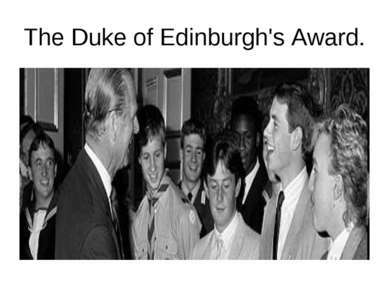 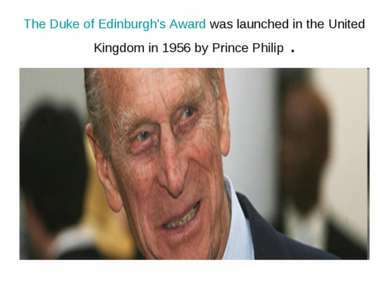 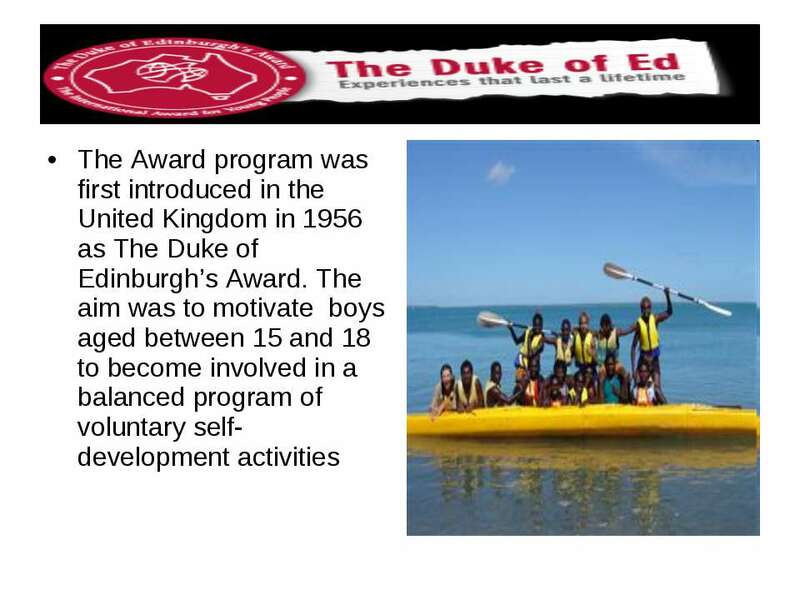 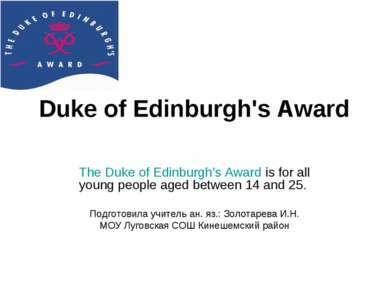 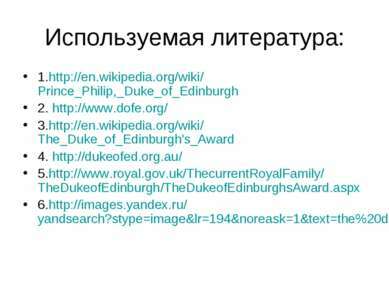 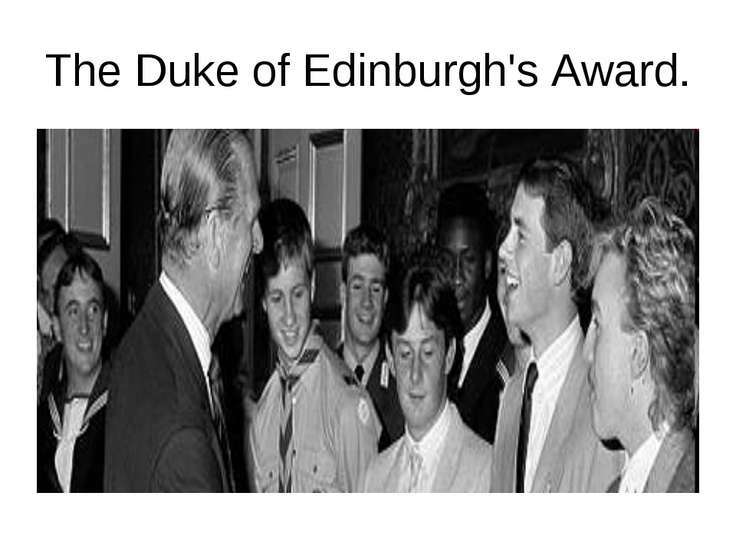 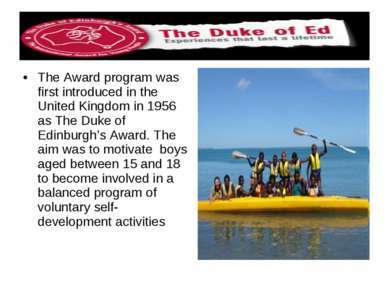 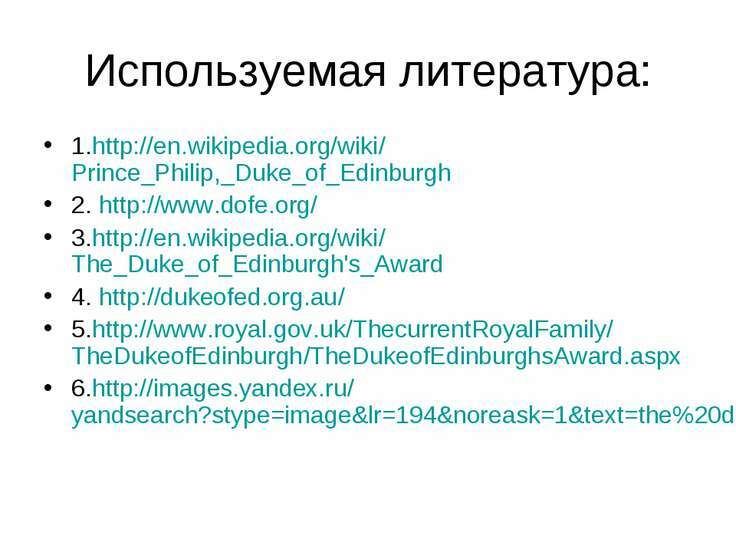 The Duke of Edinburgh's Award was launched in the United Kingdom in 1956 by Prince Philip . 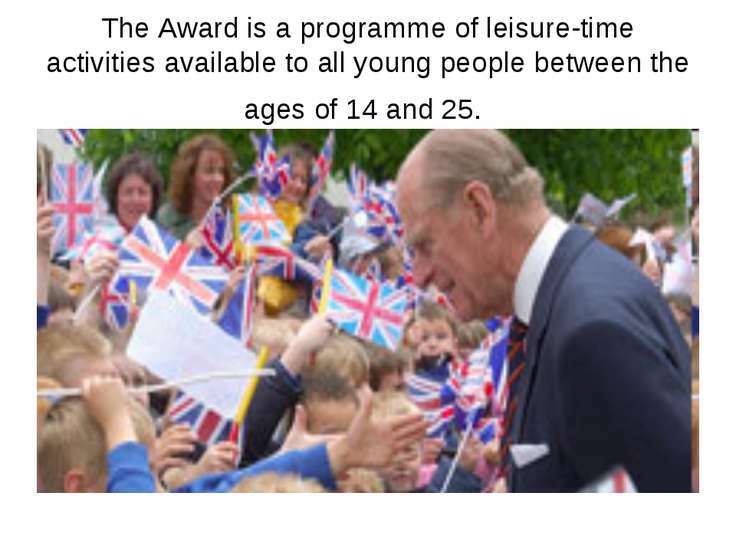 The Award is a programme of leisure-time activities available to all young people between the ages of 14 and 25. 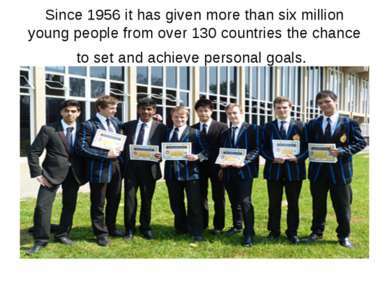 Since 1956 it has given more than six million young people from over 130 countries the chance to set and achieve personal goals. 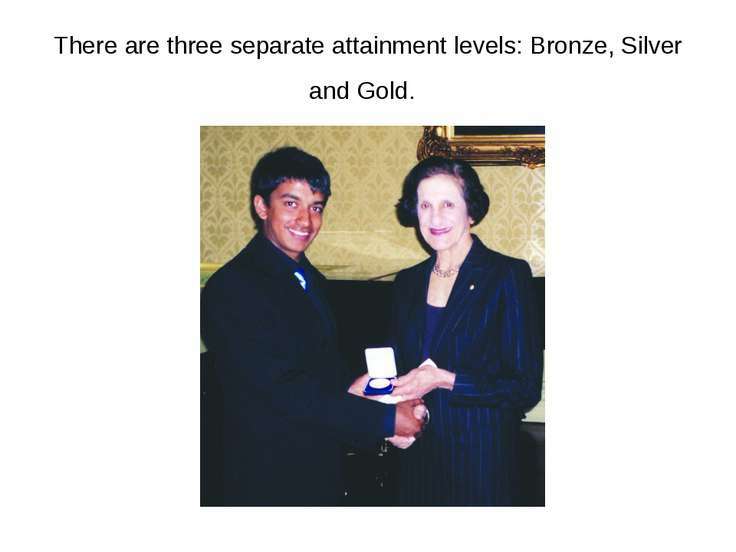 There are three separate attainment levels: Bronze, Silver and Gold. 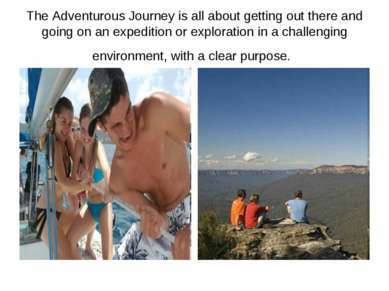 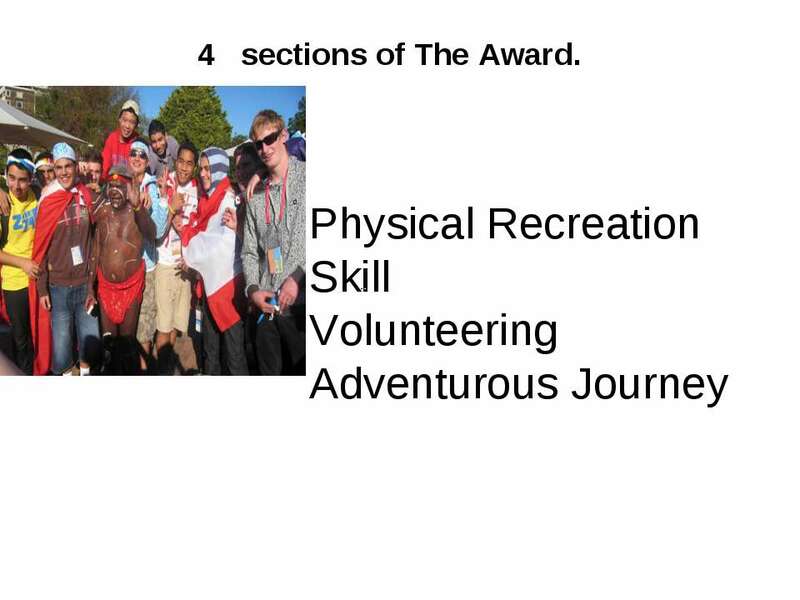 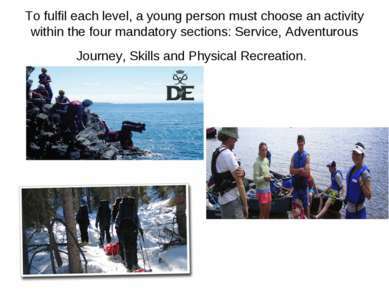 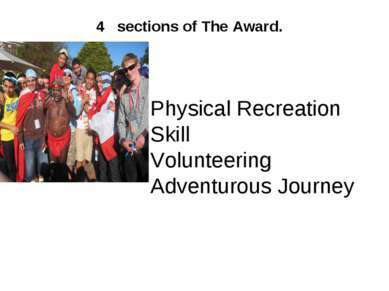 To fulfil each level, a young person must choose an activity within the four mandatory sections: Service, Adventurous Journey, Skills and Physical Recreation. 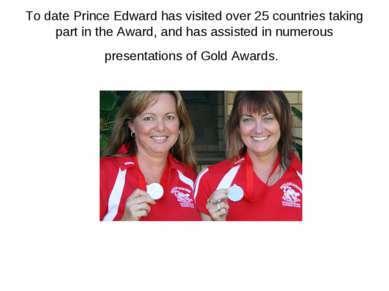 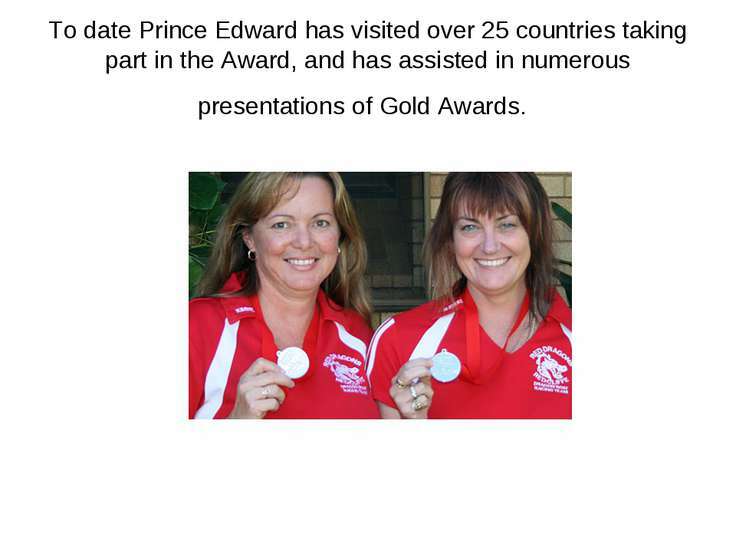 To date Prince Edward has visited over 25 countries taking part in the Award, and has assisted in numerous presentations of Gold Awards. 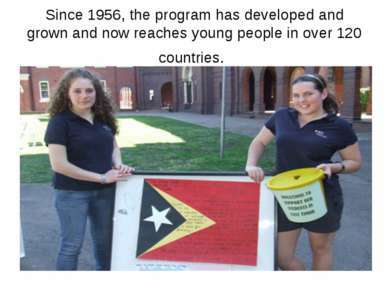 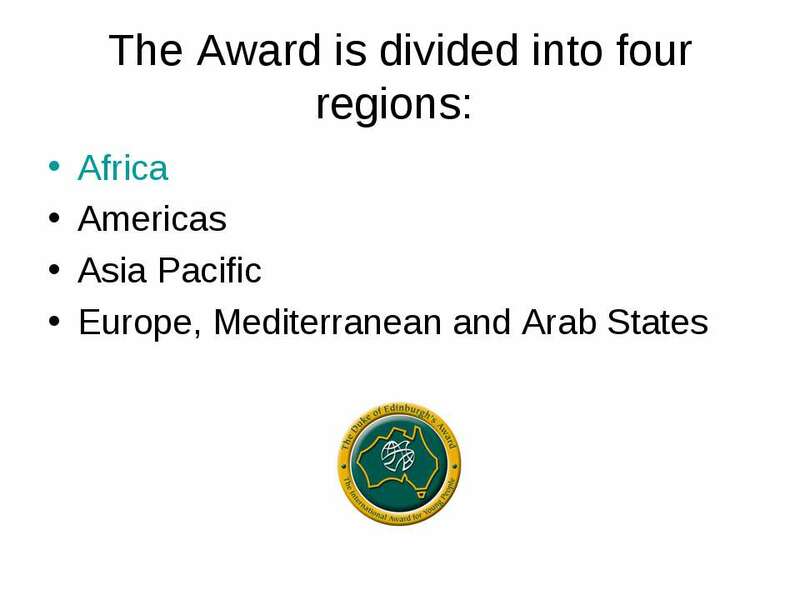 Since 1956, the program has developed and grown and now reaches young people in over 120 countries. What is it? 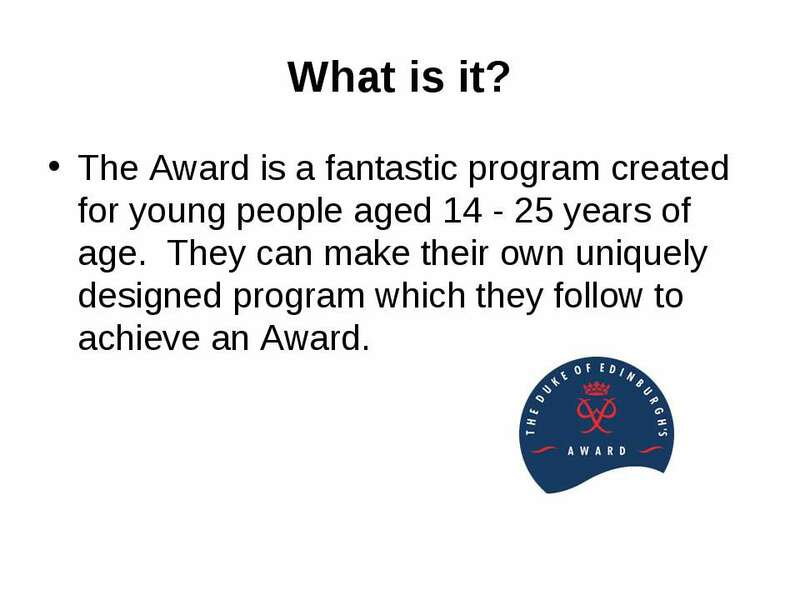 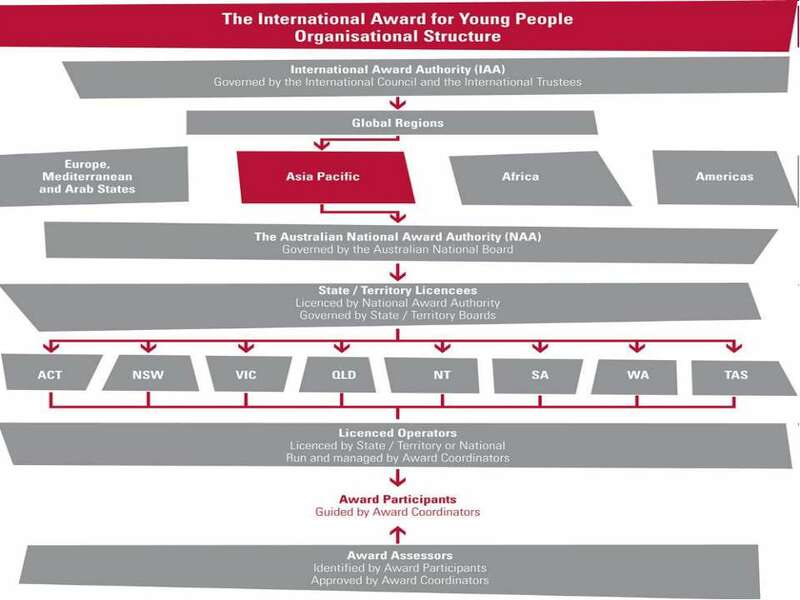 The Award is a fantastic program created for young people aged 14 - 25 years of age. 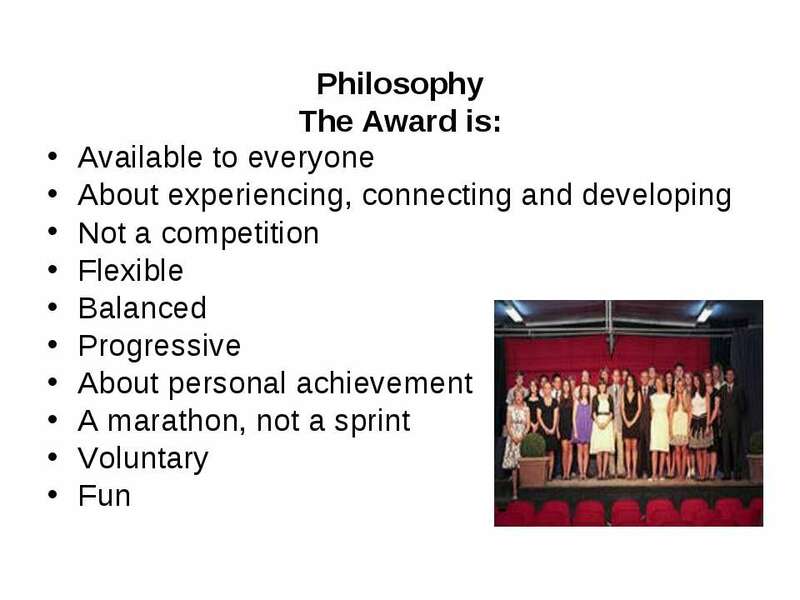 They can make their own uniquely designed program which they follow to achieve an Award. 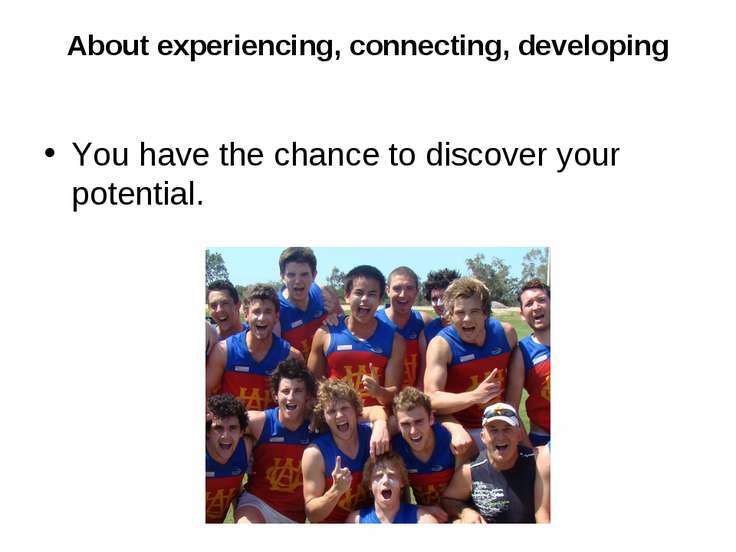 About experiencing, connecting, developing You have the chance to discover your potential. 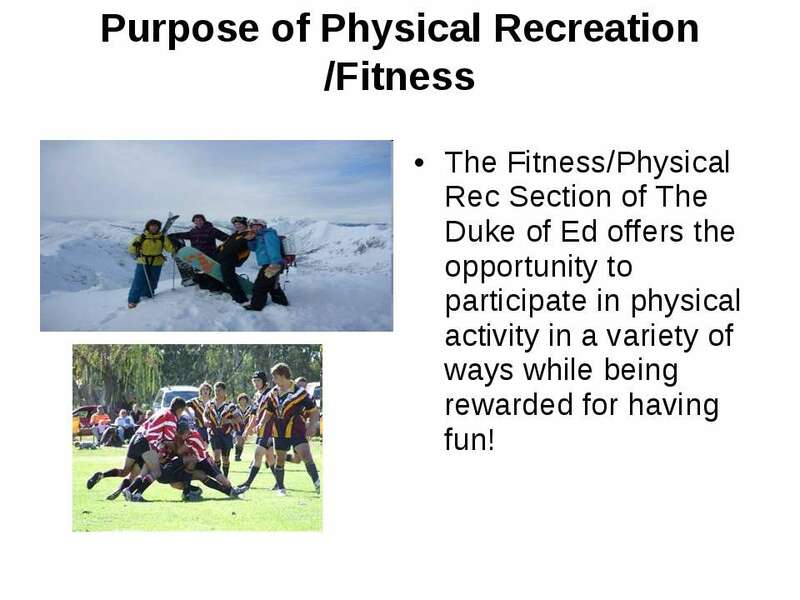 Purpose of Physical Recreation /Fitness The Fitness/Physical Rec Section of The Duke of Ed offers the opportunity to participate in physical activity in a variety of ways while being rewarded for having fun! 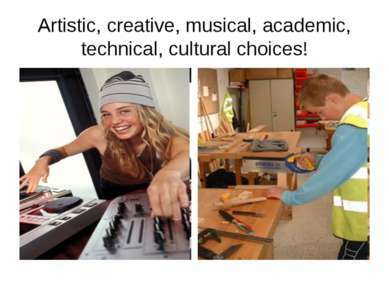 Artistic, creative, musical, academic, technical, cultural choices! 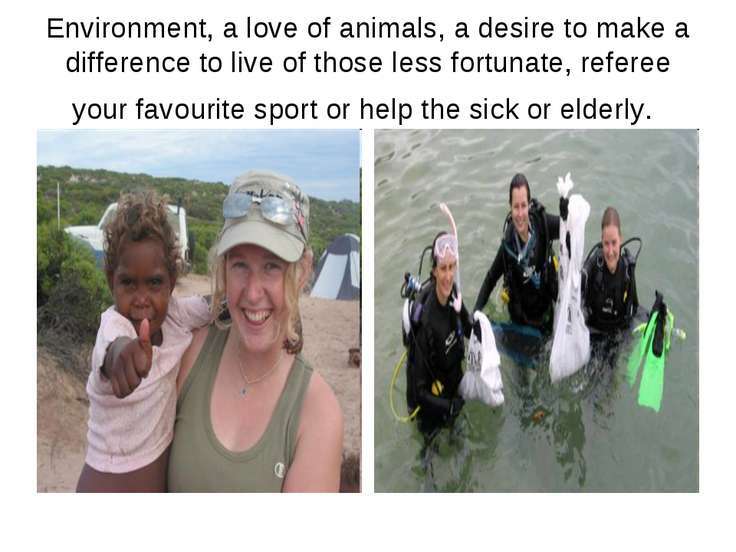 Environment, a love of animals, a desire to make a difference to live of those less fortunate, referee your favourite sport or help the sick or elderly. The Adventurous Journey is all about getting out there and going on an expedition or exploration in a challenging environment, with a clear purpose.